Our adoption story began about 10 years ago when we began considering it, but one of the catalyzing points for our family was a trip that Andy was able to lead to Haiti after the devastating earthquake in 2010. While on the trip in 2011, he had the opportunity to serve at an orphanage there. The reality of an orphans’ plight in this world – and especially in an under-developed country – quickly became vividly clear. It was very difficult to come to back to our house and know that we had room and space in our home for another child and not do something about a child’s life…even if that meant our life wasn’t going to be completely convenient. As we began to strongly consider adoption, we were quickly faced with the large financial burden that the process would include. We were told to anticipate spending $35-40,000 to adopt a child from Haiti. This seemed like an insurmountable number, but we decided to proceed. We officially began our journey by submitting our application in May 2012. After much prayer, tears, paperwork, hopes, dreams, conversations, training, and fundraising, we were matched with our son Roody on June 16, 2015! 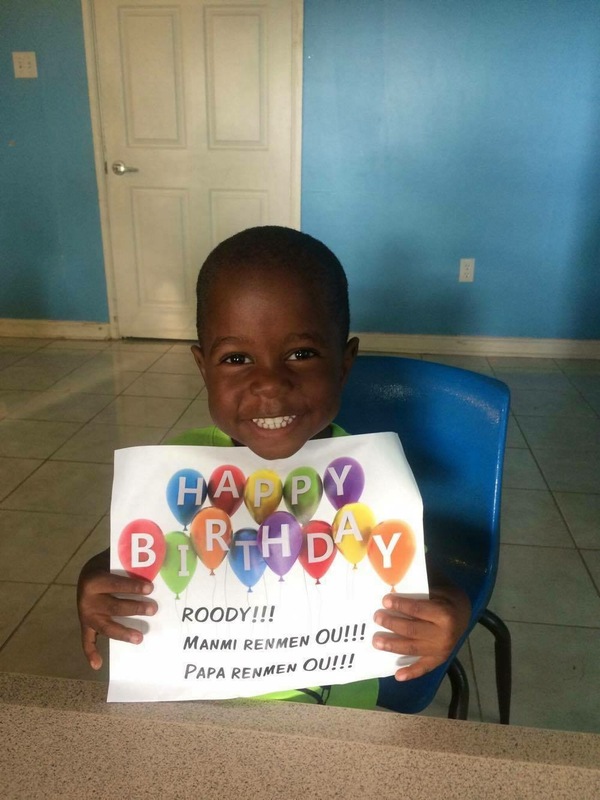 The day we had been waiting and preparing for – for over ten years happened on August 4th, 2015 when we got to meet him at the Toddler House on the balcony at God’s Littlest Angels orphanage in Petionville, Haiti. He was the most handsome little boy we’d ever seen! Instantly, we were in love with our son! We returned home after 2 weeks and completed the final necessary steps to have our whole family reunited for the first time. Roody came home on September 16, 2016 to the waiting arms of his three new sisters, extended family and several incredible friends. It’s been a wild – and even hard-ride, but we couldn’t be more blessed than we are as a family. Through so many generous friends, our very competent agency, and grant organizations/ministries like Gregory’s Gift, the seemingly insurmountable financial mountain of adoption is now a thing of the past. We are SO incredibly grateful for friends’, family, and strangers’ generosity to our family. We can’t change the world and adopt every orphan, but we can adopt one – and we are so grateful to have been able to do so.